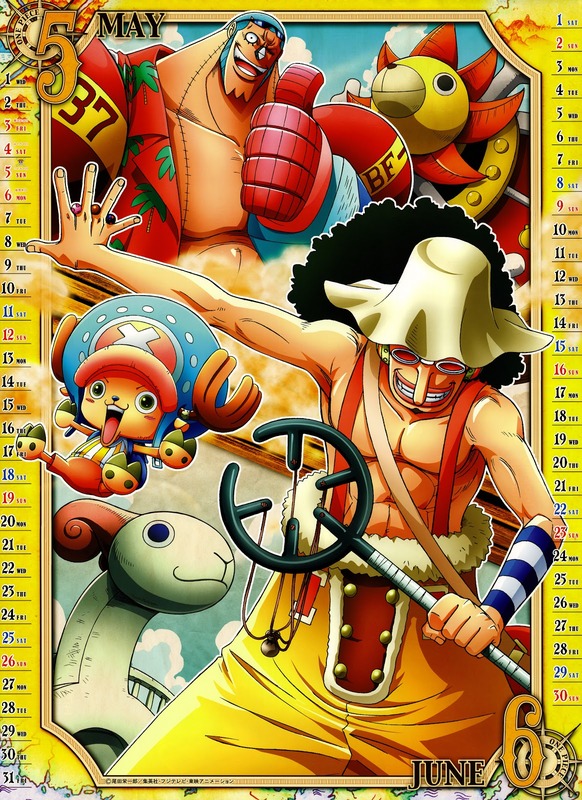 We made it! 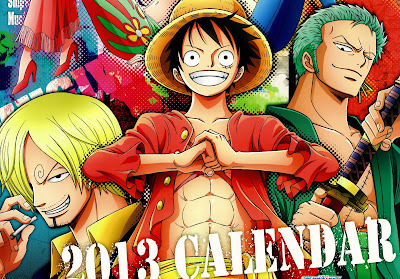 The Daily Zombies opens 2013 with a bang as we continue our round-up of scans for cool 2013 calendars with one of the biggest manga franchise of them all, One Piece. With the apocalyptic 2012 in our rearview mirror now, we ring in 2013 with a bang as we continue our undead tradition of sharing cool calendars that we stumbled upon online. We have earlier featured scans of the official 2013 calendars of Naruto Shippuden, Bleach, Katekyō Hitman Reborn! and Neon Genesis Evangelion respectively and on this first day of 2013, we take on the biggest and baddest of all them all in the manga/anime industry: One Piece! 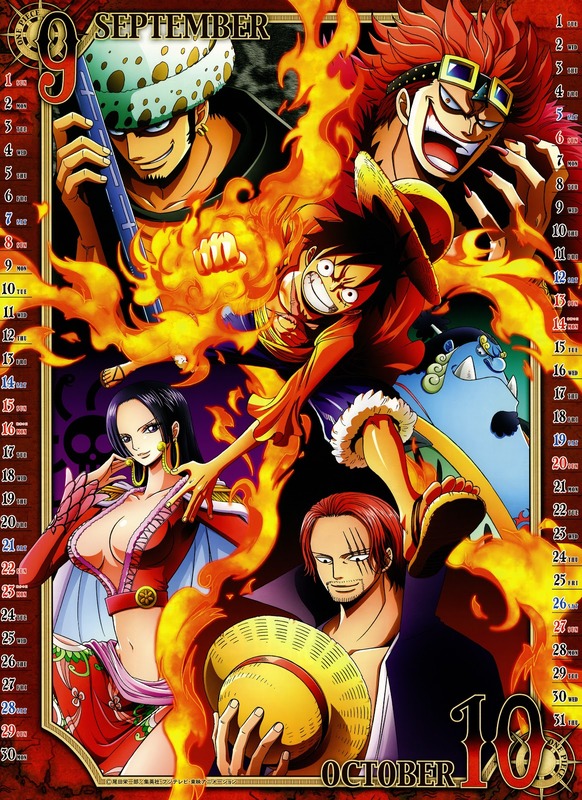 Created by Eiichiro Oda, One Piece has become an unprecedented cultural phenomenon worldwide. 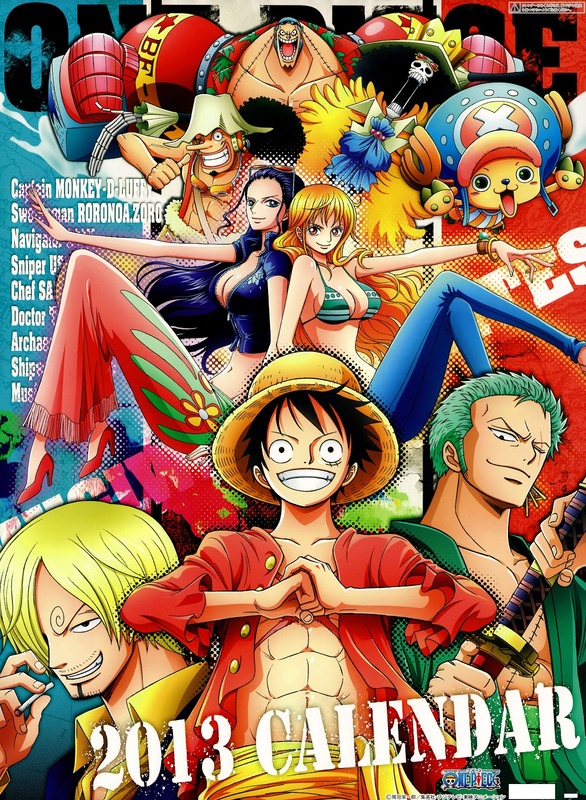 For starters, the wildly popular manga has been ruling the manga sales charts with an iron first. 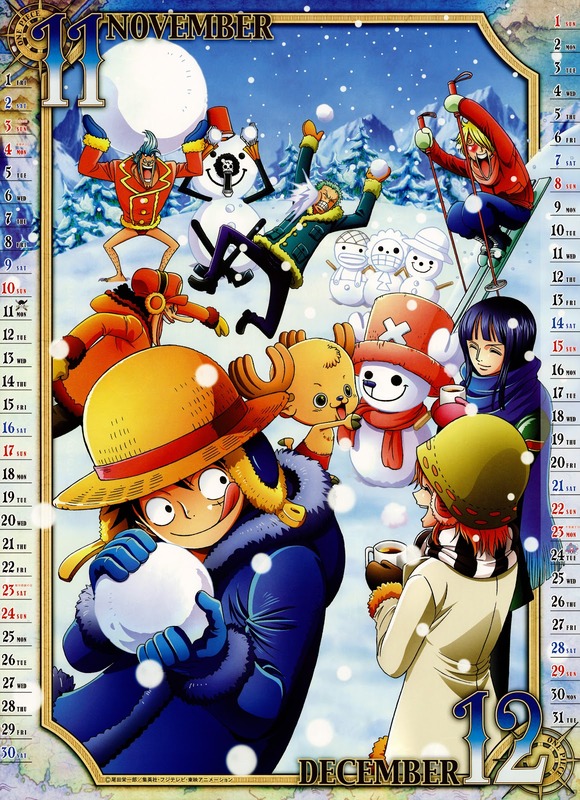 Based on the top manga sales chart of 2012 provided by Japanese statistics company Oricon (courtesy of Saiyan Island), One Piece is comfortably at the top with 23,464,866 estimated copies sold, while Tadatoshi Fujimaki's Kuroko's Basketball is at distant second with 8,070,446 estimated copies sold. 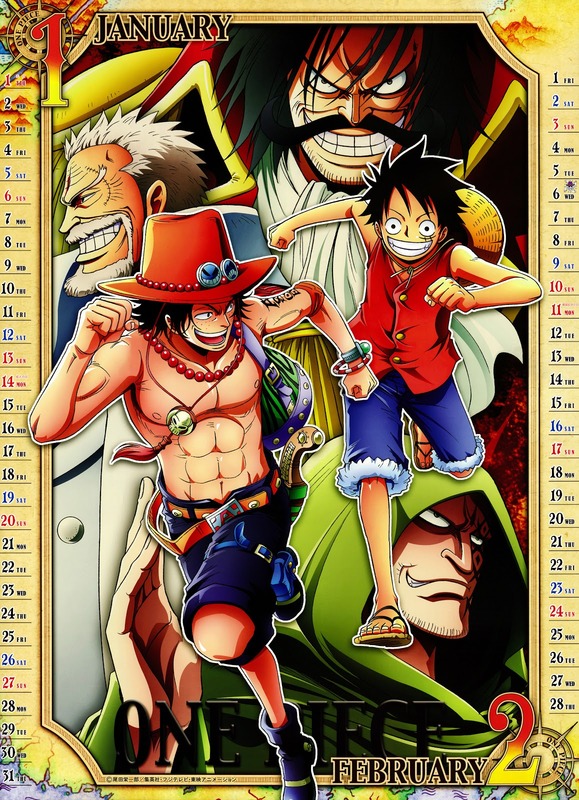 Masashi Kishimoto's Naruto is at third with 6,495,240 copies. 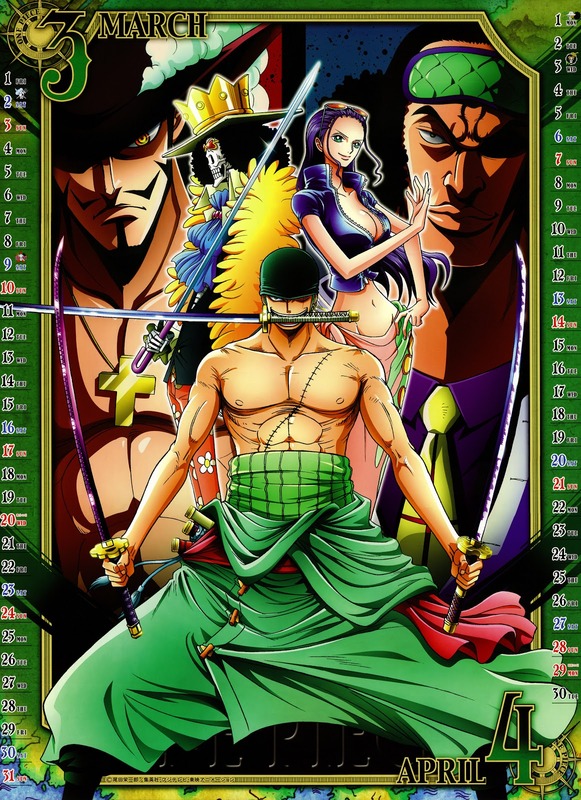 With the series continues to gain steam on foreign lands, we anticipate the longevity of the series. And now, without further ado, click on the respective images to download the higher resolution version of the picture.